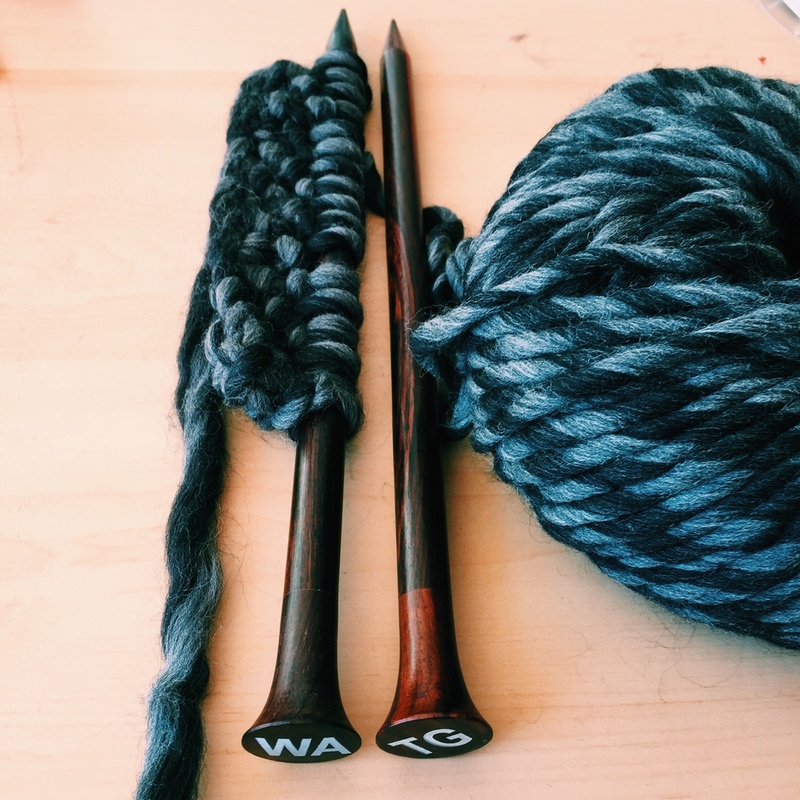 I attended a Wool and the Gang workshop yesterday, held at the Des Moines Social Club. It was a blast. We made the Snood Operator. It was so fast and fun. The Size 19 (15mm) knitting needles were awkward at first, but once I got the hang of it so much fun. I like my snood and love working with super bulky yarn. I'm hoping there will be more workshops in the future!